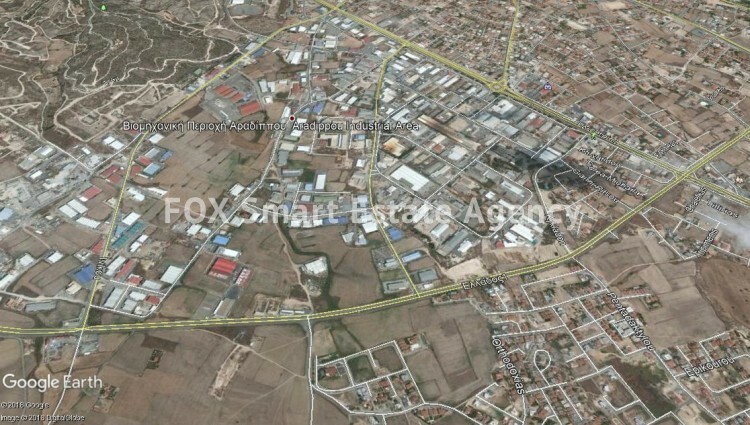 Industrial piece of 6000m² land, for sale in Aradippou Industrial Zone. The piece is in Bα3/Bε1 mixed zone with build density of 100% and coverage ratio of 50% for up to 2 floor buildings. Main road up front and registered road at the back.